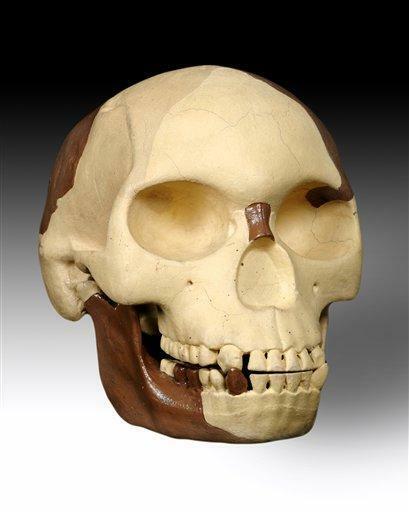 Piltdown Man’s Skull (a hoax perpetrated on the scientific community in 1912). This article, then, is all about how to deal with these kinds of errors. At its simplest a fossilized error is a mistake which a student makes again and again and appears unable to correct no matter what they are told and how you try to help them. In many cases the student may well know they are making an error but despite their best efforts, they can’t help themself and they continue to make the error. It is an error which is so deeply ingrained in the student that when they use correct English in its place then it sounds wrong to them. * Are the money on the table? * An asterisk at the beginning of a sentence denotes an ungrammatical sentence. The student knows that these are wrong and can easily produce the corrected version, but the errors are so deeply ingrained in her that they come out regardless. Where Do Fossilized Errors Come From? You will often see that beginners don’t have fossilized errors. Of course they make mistakes, but the errors they produce can almost always be corrected and set straight. However, as a student learns more and attends more English classes, certain errors keep on occurring and never seem to go away. Often these are errors due to mother tongue influence‏‎ as in the example above or false friends‏‎. Other times they have picked up from other students or perhaps television or even the teacher. Another problem here is that the teacher may not catch the error (which can often happens if the teacher is not an English MT speaker) and the student does not even realize they are making an error until too late. It’s not always easy to correct fossilized errors. They are often so ingrained in the student that no matter what you say or how you explain it, the student will still continue to repeat the error – even when they’ve understood and realize that they’re making the error. So, don’t be surprised if a few of these ideas don’t work; it takes time and patience to have students get over their fossilized errors. Explain explicitly what the error is and how it can be corrected. The students needs 100% understanding here of what they doing wrong. Deal with one error at a time; don’t overload the student(s). Once the first, biggest, error is completely eradicated then you can move on but not before. If a student makes the error whilst speaking, ask them to write down what they’ve just said. Writing focuses the mind far more than speaking and slows the production process giving students time to think about what they are producing. Stop the student on that error alone. It isn’t always a good idea to interrupt a student when they make a mistake (see the article Accuracy vs Fluency‏‎) but for single and specific fossilized errors it helps focus the student who then must repeat without the error. Get students to record themselves speaking and then have them check what they say and report back; they’ll often spot their own errors like this. The idea behind these is to focus the student’s mind on the error. They become very conscious that in certain situations an error might well occur so they need to think carefully. But, importantly, they must have no doubt in their mind what the error is and how to correct it. Basically a fossilized error is a mistake a student has made so many times that it has becomeS (????) part of their natural speech. Many thanks for alerting us of the typo! We have now corrected it!